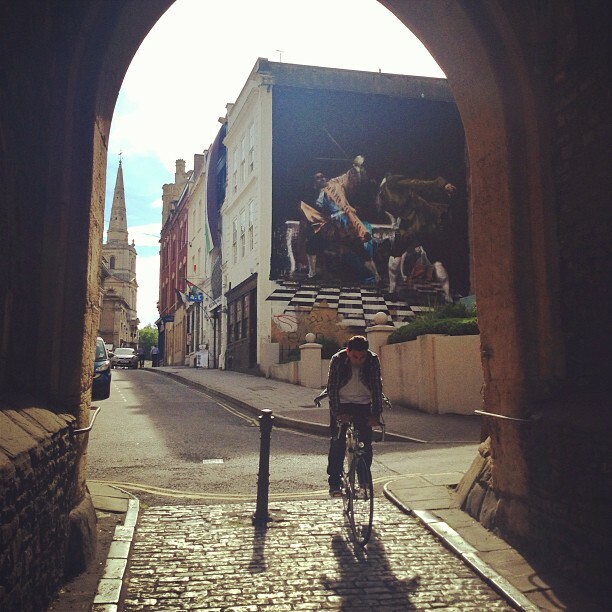 Why has no one told me that Bristol is such a bad to the bone city? 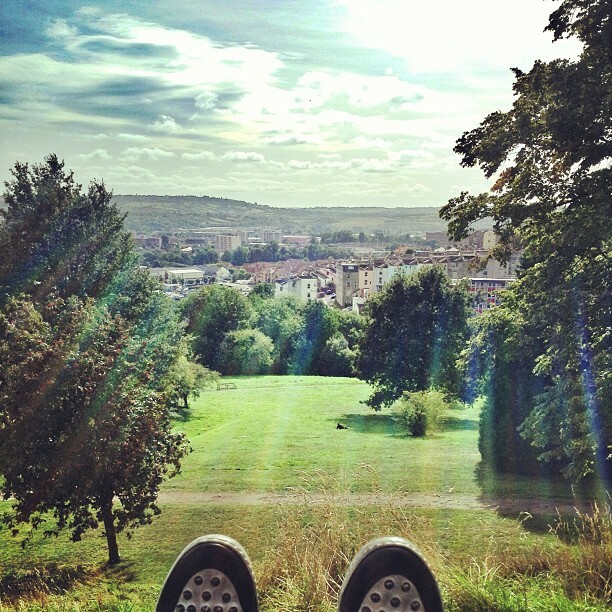 Have you even heard of Bristol yourself? 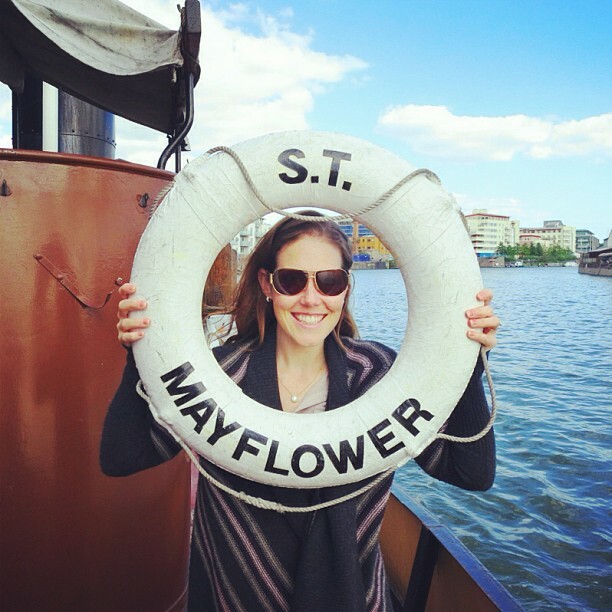 Check out my adventures and book a flight pronto! Next up on my UK roadtrip is Bristol, a metropolitan city hoarding less than 500,000 inhabitants. It was a gorgeous drive down from the Cotswolds passing through fields of hay barrels and blue skies layered with bright white clouds. Honestly, I don’t know what I did to deserve the best weather England has ever had! 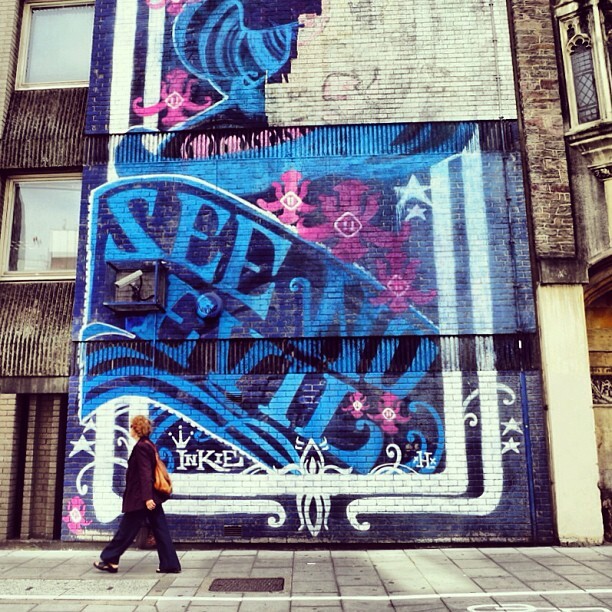 Bristol’s a city filled with youth, parks, boutiques and some grit. The art and architecture makes it feel laid back, modern and clean. The streets felt safe with each neighborhood emitting its own personality. I would like to think that I saw a lot of Bristol in just two days, but of course I could have stayed for months! If you’re a walker like myself—and like every Brit I encountered—then this is the perfect city for you. I had a rent-a-car, but it stayed in the garage for two days. 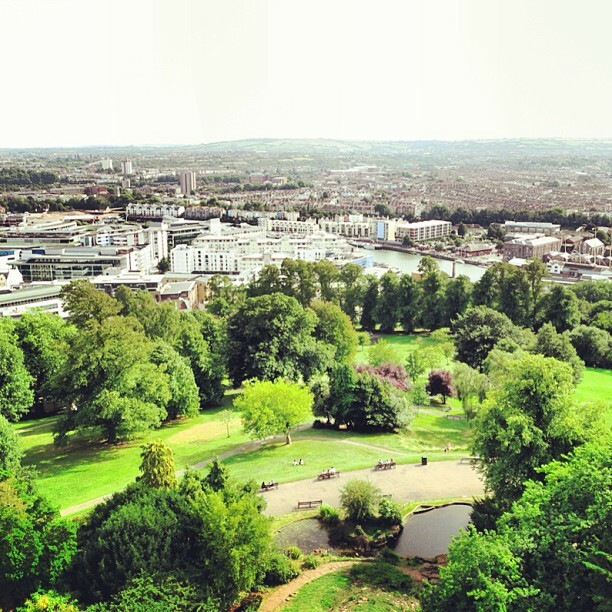 I took the perfect trek up to Brandon Hill where I climbed Cabot Tower. My thighs thanked me in the morning. The park is huge and has sights of the whole city. I ended up sitting on a park bench chatting away with my awesome travel buddy and just took it all in. Seems like the perfect place for a picnic. 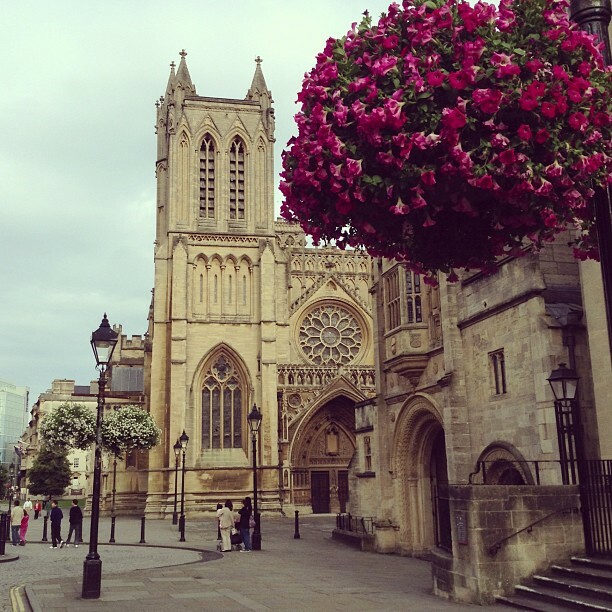 There’s also the Bristol Cathedral, which is more than 700 years old, in all it’s Gothic loveliness. Isn’t she pretty?! From free art exhibits at the Arnolfini to my first Pimm’s Cup I was in heaven! 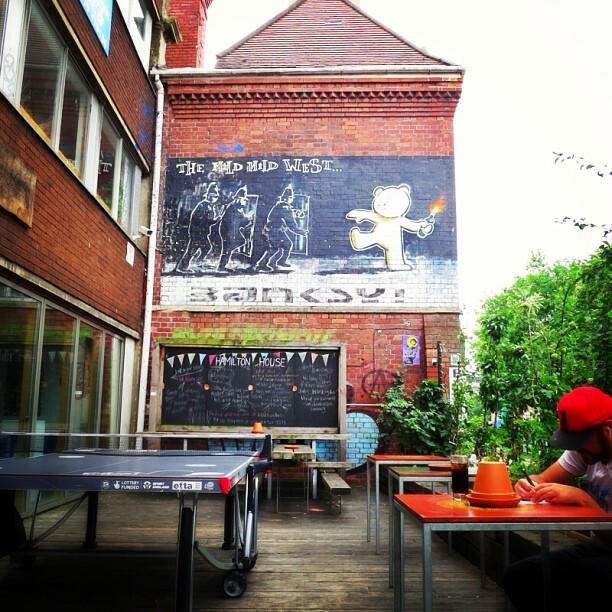 Bristol is well-known for the world renowned street artist, Banksy. Let’s not stop there because Inkie is also one of the city’s homeboys. I was fortunate enough to take a tour with Where the Wall who operates walking tours all over town, even in Spanish. I spent 2-3 hours with Olga my Where The Wall guide discovering all the facets of Bristol from downtown Cabot Circus—newer developed area with great shops—to the Bear pit then all the way up to Stokes Croft—the more urban part of town—unveiling 30 years of art history on many of the walls. Olga rapped off the meaning behind each piece. 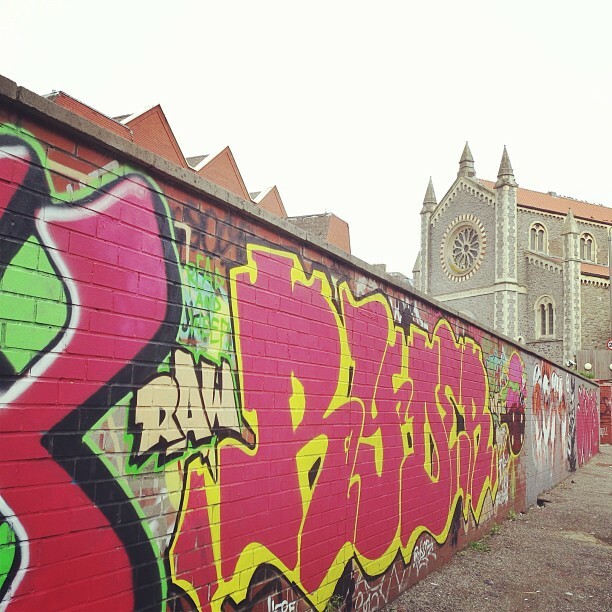 Many having to do with Bristol’s history, the community’s viewpoint and even some with secret messages that were intended for fellow graffiti artists. 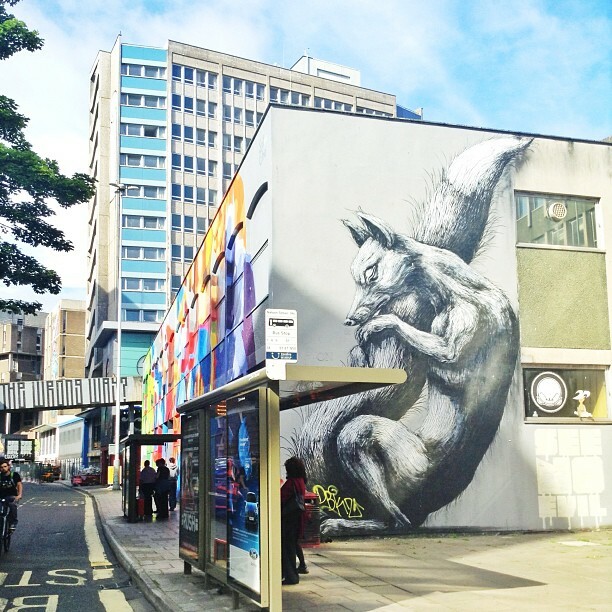 The section that’s most concentrated with Bristol graffiti is an area that Inkie helped develop on Nelson Street, called See No Evil. 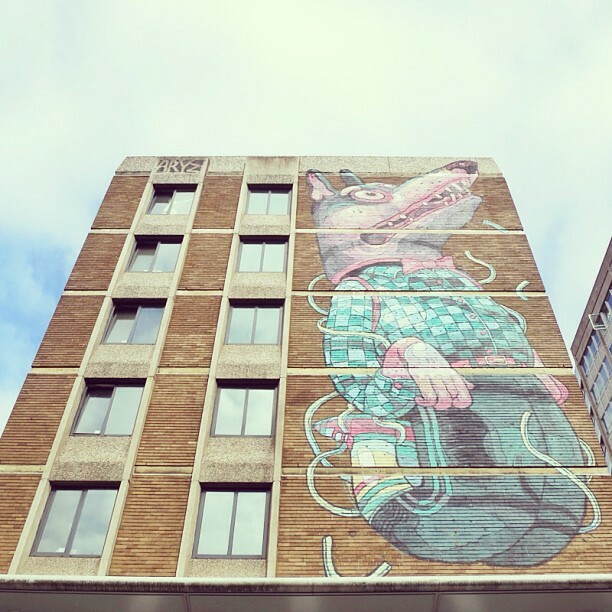 It’s a project that was initiated in order to bring in internationally well-known artists to help create UK’s largest permanent outdoor gallery in the heart of town. Then there were Gromits everywhere, 80 to be exact. These larger than life-sized pups were each designed and painted by a separate artist and then displayed all over the city. 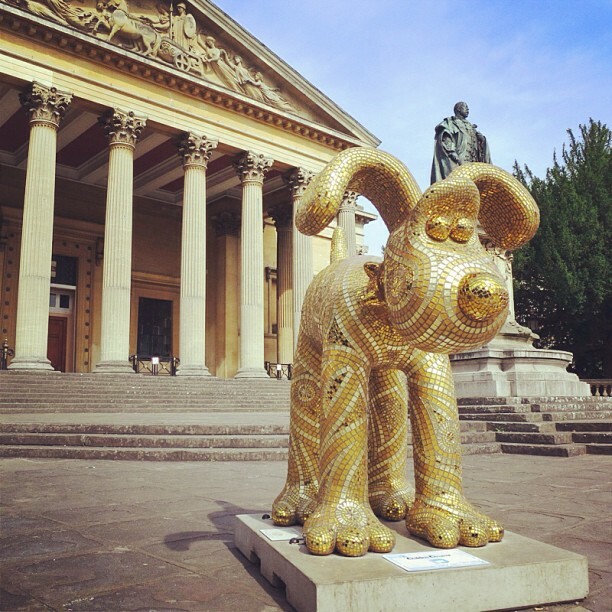 After the Gromits were publicly displayed on the streets for 10 weeks they were auctioned off raising…wait for it…£2,357,000.00! This went to Wallace & Gromit’s Grand Appeal, the Bristol Children’s Hospital Charity. Although this public trail of Gromits ended after my trip it’s something worth mentioning. It says a lot about the city, the people and the community…it made everyone smile. I saw about 20 from King Tut to Elvis, even one on a boat! 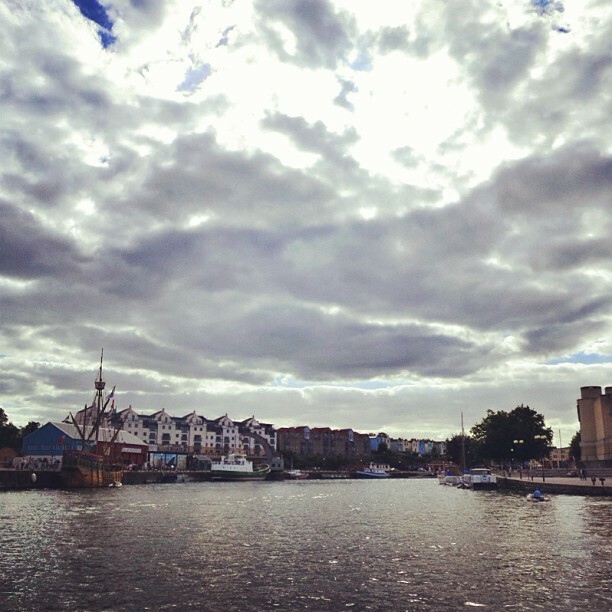 The Avon River flows through Bristol eventually reaching the Celtic Sea. What this means to you is that there are waterways with bridges throughout making the city feel romantic and just plain cool. There are all types of water vessels you can ride on, but my vessel of choice was a tugboat! I’ve been on all types of boats—even sailed a few 😉 but never a tugboat—so this was my chance. 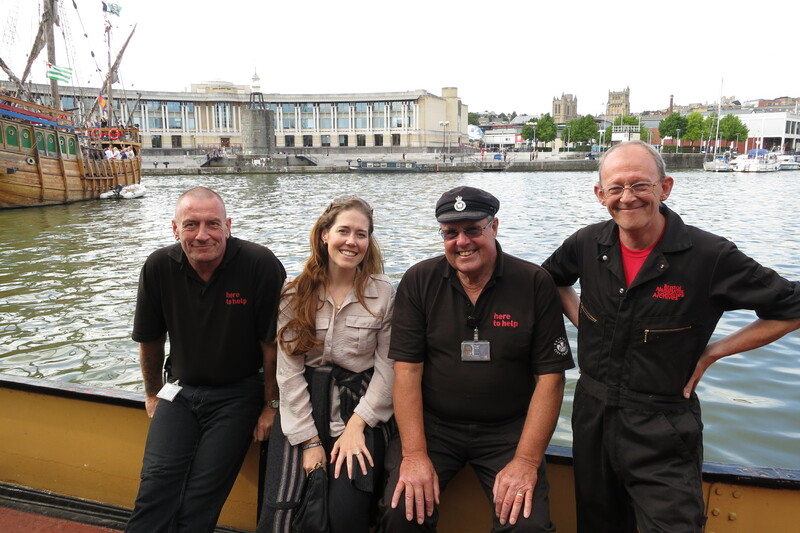 Thanks to one of Bristol’s Museums MShed I took the perfect water tour. It was one of the best ways to explore the city. With so many more stops ahead of me on this UK roadtrip, I had a feeling Bristol would be hard to beat! Next up, Cornwall! 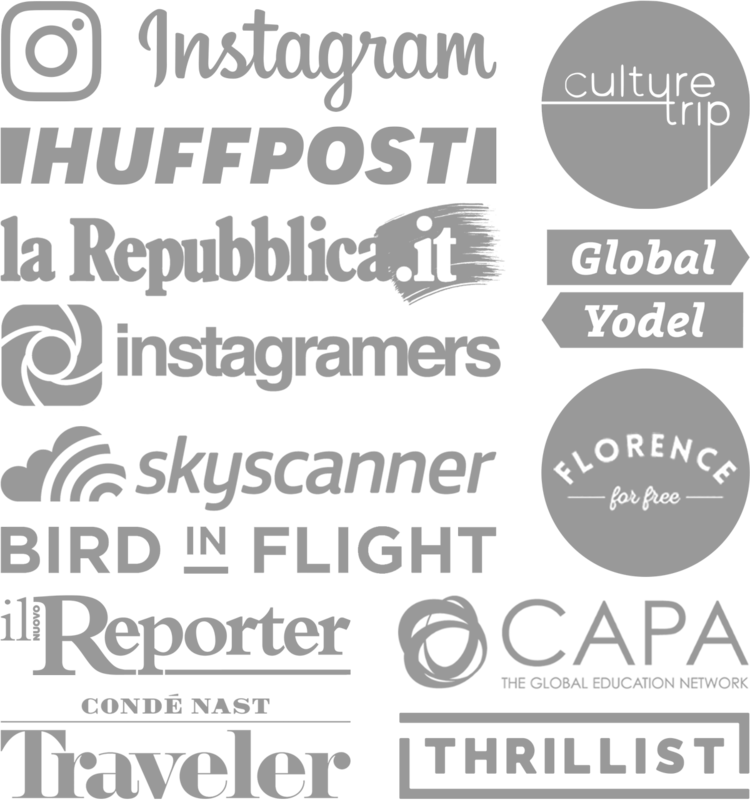 *A special thanks to Destination Bristol, Bristol Culture and Bristol City Council for all the travel perks and connections! 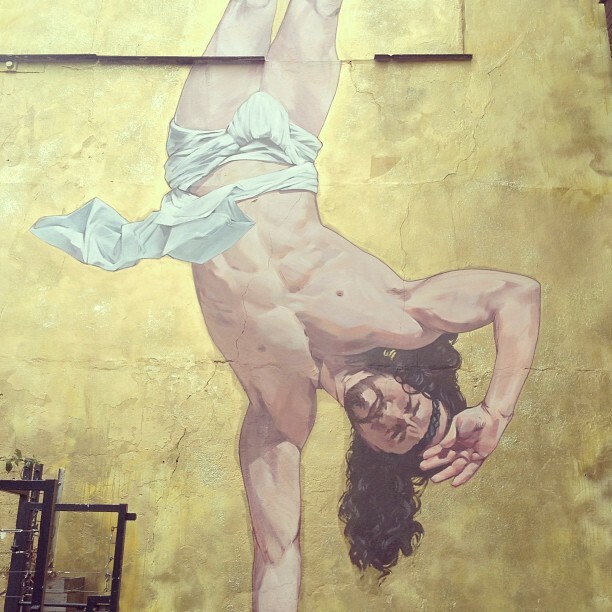 Have you been to Bristol or seen any of these famous artists’ work up close? Love that golden Grommit, how cute! Seems like a fantastic and fun city. Bristol was amazing and the Gromits didn’t hurt. It was fun seeing all the kids so excited to find them all over town. More UK stories to come, thanks!